Two of the cutest Canadians have just immigrated to the United States – and they are settling in northern Minnesota! 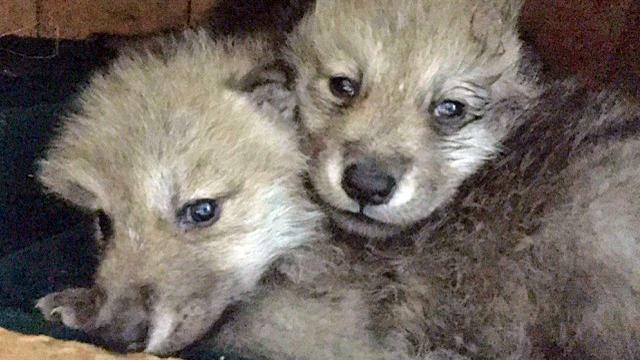 The rare Arctic wolf pups, both boys, arrived this weekend at Ely’s International Wolf Center after a trip that officials say was months in the making. 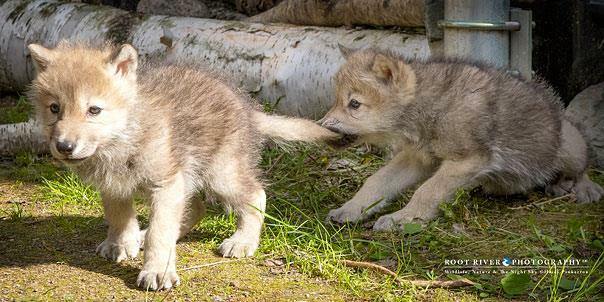 The pups began what the Wolf Center calls an “intense socialization process,” with staff and trained volunteers working with them non-stop. They may be dark in color now, but the pups’ coats are expected to turn pure white by the end of summer. These pups are so rare and important that U.S. Customs waited for hours at the airport to help cut through red tape. The U.S. Fish and Wildlife Service also made a special trip to Ely to make sure importing them went smoothly. 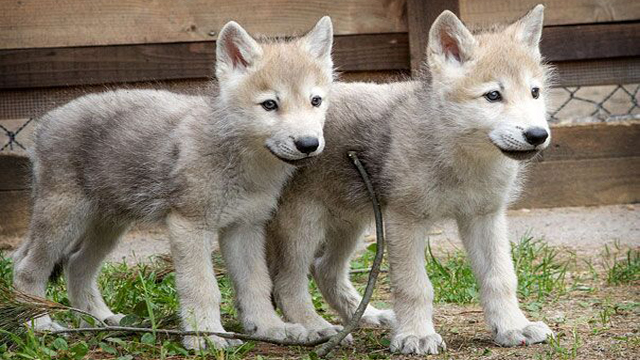 In a few months, the pups will join the four members of the Ambassador Pack. Executive Director Rob Schultz says the older wolves already know they've arrived. "Humans have about five million smell receptors in our noses. They have about 280 million. They're pretty excited because they can tell that Nancy just brought in some new animals." 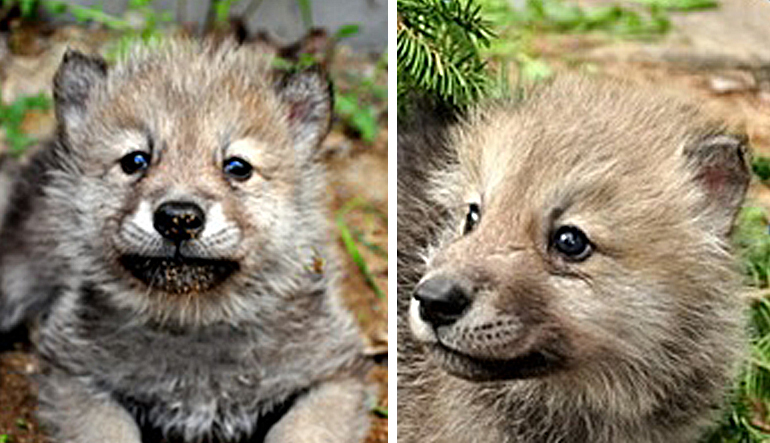 The Arctic wolf pups will grow fast, gaining up to a pound a day. Their dark coats will turn white by the end of summer. 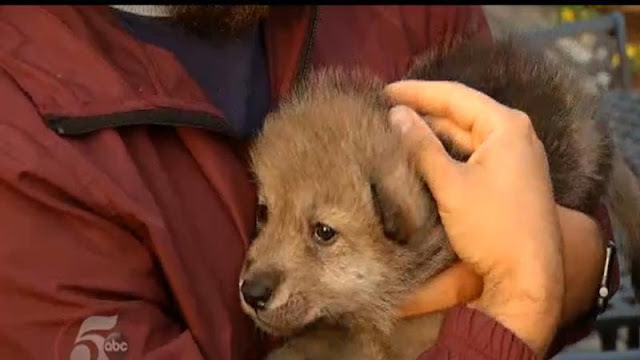 Responses to "Rare Arctic Wolf Pups Arrive In Minnesota"